What is happening - What does the Future hold for Dugongs? Dugongs are currently listed as vulnerable to extinction as they are being hunted for their meat and blubber. Unfortunately, they are also victims of reckless boat-collisions which leads them to a decline in numbers. If people are more careful with these creatures they wouldn't even be of least concern about their population because they reproduce at an average speed. 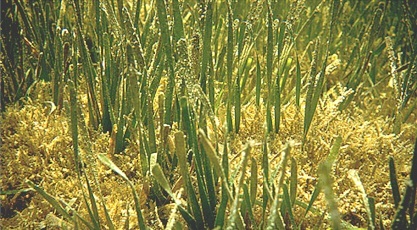 Seagrass has been here on Earth all the way back to around 100 million years ago. 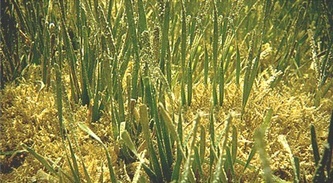 Right now there is a scarcity of sea grass. That's not one bit of a problem right? 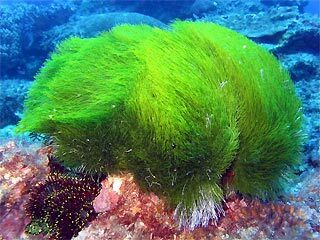 Well think again.This is a lack of their most nutritious and fundamental part of their diet - sea grass. Dugongs are dependant on sea grass for their survival as this makes up most of their meal. Without this highly important food supply, the most likely result for dugongs is being extinct like their cousins, the Steller's Sea Cows. 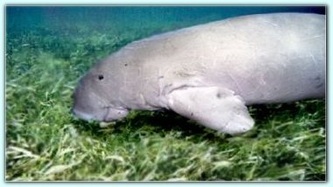 Dugongs are vegetarians and their daily diet mainly consists of sea grass. Sea grass is slowly disappearing because of the land develpment, and this is created by humans. Dugongs without sea grass is like humans, who are not vegetarians, without meat! Their main supply of food is currently running low, so how can they all possibly survive? In 1999 in Malaysia, a proposal was made to build a dugong sanctuary because of the stunning death toll. But till this very day of 2010, which has been a decade already, nothing has been done to manage the population of dugongs around the Malaysian area. As you can see, this is neglect and ignorance to these ponderous mammals. Well, would you like it if you asked for something thoughtful and a decade later, nothing has been done to enhance your ingenious plan? If it was me, I would be utterly furious.